Lovely 2-story townhouse on a cul-de-sac. This 1670 sq ft property has so much to offer, granite counter-tops in the kitchen and bathrooms, and wet bar. Wood and gas brick fireplace The kitchen with breakfast bar opens to the family room with the wet bar sliding glass door take you out into the beautiful patio/back yard. Upstairs, you'll find 2 master Bedrooms with their own private bathrooms. There is also an indoor laundry down stairs area and guest bath. community pool and play ground, Just minutes to transportation church, stores and school. This treasure wont last!!!! Sold by Nonmember Agentdefault BRE#01382130 of N/A. 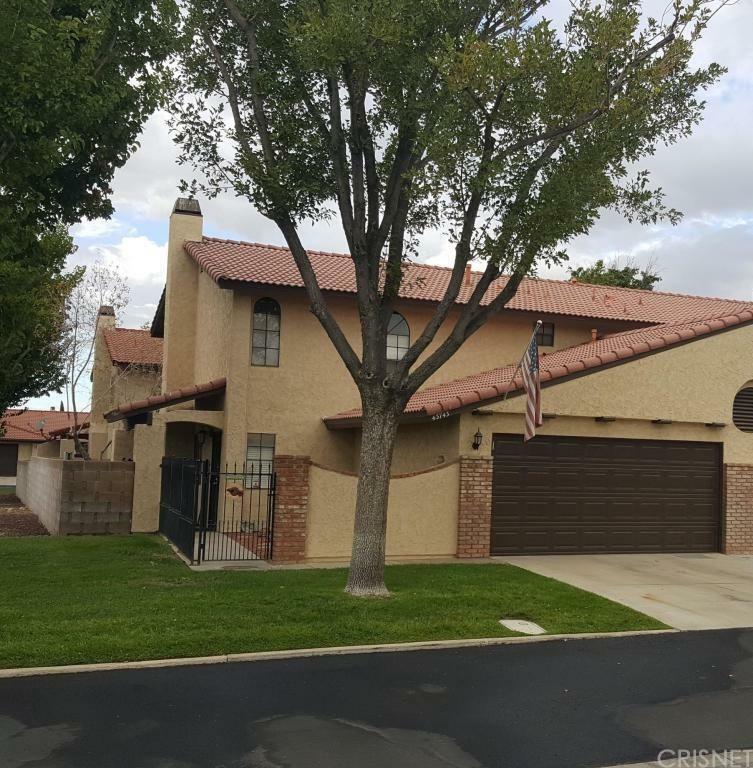 Listing provided courtesy of Ileana Dominguez DRE#01382130 of Keller Williams Realty Antelop.